The people of Ethiopia need you. There is an immense amount of gratifying service you can provide, as a volunteer, for Ethiopia Healthcare Network. Below are a few illustrative needs. Case Data Review and Analysis You will review abstracted (non-confidential) patient case data, analyze the data, present findings of your analysis, and summarize data for publication. Grant Writer You will research, propose, and support grant-writing. Viral Marketing Czar Using tools such as Facebook and related social media, you will design, review and carryout an Internet-based advocacy and information program. Art Coordinator/Display Developer You will develop informational and art displays for use at Washington, DC, area venues such as the World Bank and coffee houses. 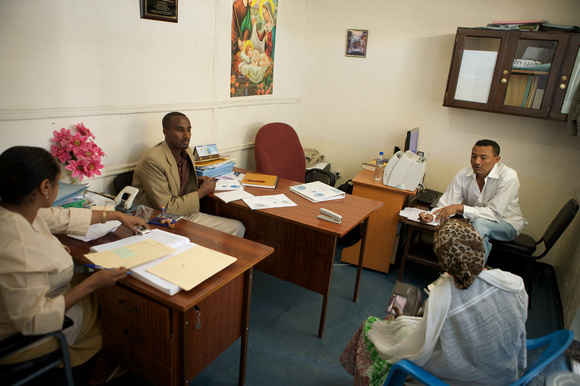 Volunteer by sending a note to volunteer@ethiopiahealth.org. Thank you!